This bracelet is subtle elegance. A beautiful matched layout of 14 radiant cuts, that are F in color and VS1 in clarity are the best they come. The radiant cuts total weight is 3.61. 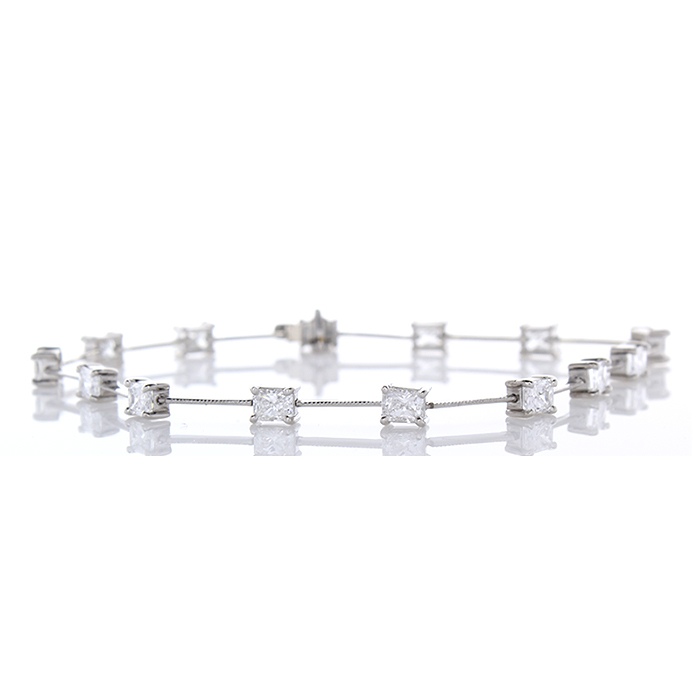 Each brilliant radiant is 4 x 3 mm precisely set on this enduring lovely platinum bracelet. The subtle touch you should know is the hand milgraining wire is special.